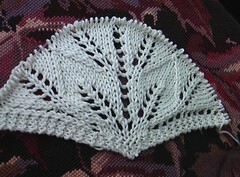 I started Kiri a week ago and you can see the initial rows here. It’s quick and fun until you start to get to about 8 repeats and each row feels like forever! More anon. Computer has been broken, so I’ve missed some Things I Love Thursdays. Sorry folks, will carry on next week.